There will be a limited number of attendees so secure your place as soon as possible by contacting Viktor Norlander at viktor.norlander@strongpoint com. StrongPoints cash management solution is called CashGuard and is the leading cash management solution on the market. It automates, seals and secures the cash handling process at the point of sale and the back office. We offer a variety of different front-office and back office products to suit your specific needs. CashGuard is the first choice of retailers world-wide and in a variety of retail segments. There are almost 30,000 CashGuard systems installed around the world and some five million retail customers use CashGuard systems every day. The system is well-known for its quality, reliability and security. StrongPoints Click & Collect solution features a pick-up station that enables you to meet the demands of the modern, connected customer. They can shop online and pick up the groceries without having to enter the store or keep to the stores opening hours. This gives them the convenience of online shopping without the costs and inconveniences related to home deliveries. Vensafe is StrongPoints Select & Collect solution for premium price products that eliminates losses and optimises inventory operations. Premium price products are stored in the secure Vensafe dispenser. This protects profits by preventing all losses due to shoplifting or employee theft. With Vensafe, your staff dont have to stock and restock the premium price products, they only need to restock the Vensafe dispenser. This improves inventory management and control through a software solution that communicates inventory information. The StrongPoint self-checkout solution features a combination of hardware and software resulting in an interactive and intuitive solution with a modern design. Both the software and hardware are independent. So they can be used together or be combined with existing hardware or software. Your companys colours and logos can be incorporated to properly reflect your brand. Take control of your store systems with the new StrongPoint Retail Suite. It is now possible to control and monitor several store technologies from a single point, at the same time. StrongPoints Retail Suite makes this happen. Come to StrongPoints booth at EuroShop and see how this new technology can simplify your store operations. EuroShop is getting closer and we are ready with five new solutions. Come to our stand and learn how they can transform your business. 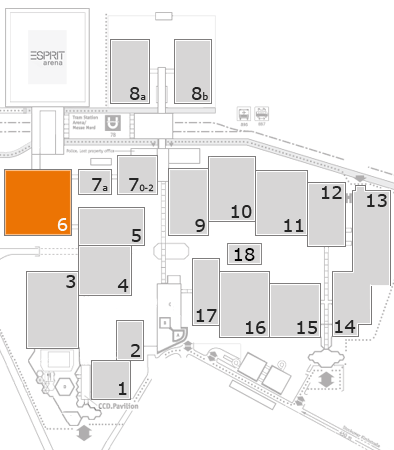 Find us at stand 6i34. StrongPoint will reveal its customer-facing payment solution at EuroShop. It is especially designed for convenience stores, speciality stores and pharmacies. Customers pay with both banknotes and coins so the staff never have to touch the cash. StrongPoint will introduce its new Click & Collect solution to the European market at EuroShop. This solution makes online shopping profitable for retailers and adds extra convenience to the shoppers. Customers order online and pick up their orders without having to enter the store. Come and experience Click & Collect for yourself in our booth. Come and experience a new self-check-out solution at EuroShop. StrongPoints self-checkout solution is more intuitive and more user-friendly than others on the market. This solution continues StrongPoints long tradition of improving the efficiency in the checkout area. Come to EuroShop and experience Select&Collect – a new way of selling tobacco and premium-priced products. StrongPoints Select & Collect solution makes it easy for you to comply with tobacco regulations and eliminate theft of highly valuable products. This Select & Collect solution gives you better inventory control while boosting sales. It is now possible to control and monitor several store technologies from a single point, at the same time. StrongPoints Retail Suite makes this happen. Come to StrongPoints booth at EuroShop and see how this new technology can simplify your store operations. StrongPoint offers retailers integrated technology solutions that increase productivity and improve the shopping experience in stores. We mainly offer solutions and consultative services for cash management, loss prevention, self-service, electronic shelf labelling and retail suite software. We also offer a number of other solutions that help improve store operations. With StrongPoint as your partner, you will enjoy new possibilities and new innovations that can boost your business onward and upward. StrongPoint provides the best technology solutions together with consultative expertise to all our customers. We have 600 employees and our headquarters are located Raelingen, Norway. StrongPoint is listed on the Oslo Stock Exchange.